If you need extra firmness especially for your back area, we highly recommend the Waist Trainer Semi- Vest! This Waist Shaper is perfect to realise a slim waist like the sisters Kim Kardashian and Kylie Jenner. 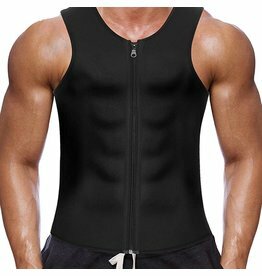 Original Latex Waist Trainer for men : a slimmer waist, a flatter stomach, a better position and less back complaints ! Colombian Ann Chery Latex Waist trainer semi vest 2028 makes you drop a couple of waist and stomach sizes because of the high compression . Creates a gorgeous silhouette !